Housemarque, the veteran Finnish development studio behind Resogun and Nex Machina, announced in a blog post today that they will abandon arcade style games after a lack of financial success. 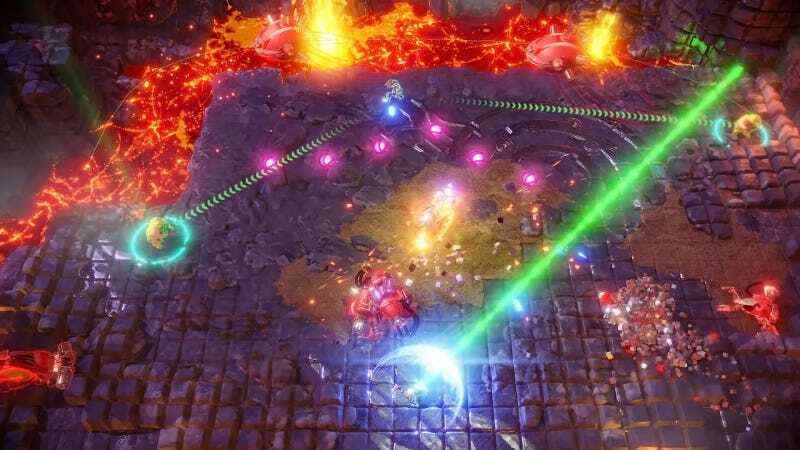 In a post titled Arcade is Dead, Housemarque CEO Ilari Kuittinen said that the studio will move away from their arcade sensibilities to focus on “something totally different than you might expect,” citing a lack of sales for their recent title Nex Machina. The game was a twin stick shooter developed with Robotron creator Eugene Jarvis. I liked it a lot. Many Housemarque games were featured as free PlayStation Plus titles, though Kuitten said that didn’t help with sales. “While some of them have reached a massive audience due to free game offerings across various digital sales channels, this unfortunately doesn’t help pay for development,” Kuitten said. Resogun released in 2013 as one of the first games available at no added cose to people with a monthly Playstation Plus subscription, while zombie shooter Dead Nation and Ikaruga-inspired platformer Outland were later featured as well. Housemarque’s announcement comes at a time where many are questioning the fate of some long-running styles of games. Recently, a statement from EA after the shutdown of Visceral Games led many news outlets to assert that single player games are dying, though our reporting showed that the situation wasn’t quite that simple and EA has since affirmed that they’re still into single player games. Kuittinen’s statement that “Arcade Is Dead” adds another type of game to now worry about.